The United Nations Global Counter-Terrorism Strategy, adopted by the General Assembly in 2006, presented a watershed moment for the institution that has historically faced fundamental divisions on counterterrorism issues, which has limited cooperation among member states. The broad consensus reflected in the Strategy’s multidimensional response to terrorism, including a strong emphasis on prevention, across the international, regional, and national levels, has provided a critical foundation for collaborative international efforts to address transnational terrorism and violent extremism. The biennial review process offers member states the opportunity to reaffirm their commitment and shape multilateral norms and initiatives to address this complex challenge. 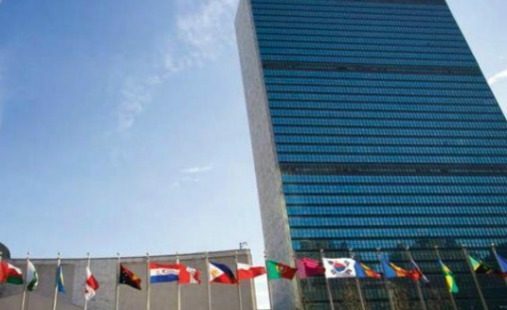 In anticipation of the review, which took place on 12-13 June 2014, this report reflects on the United Nations’ performance on counterterrorism issues since the adoption of the Strategy in 2006, and in particular, developments since the 2012 review. It offers a strategic analysis of the changing counterterrorism landscape since the last review and explores ways of enhancing the review process to meet member state demands for a more substantive and effective process. The report concludes with a set of practical recommendations for the UN and member states to strengthen UN counterterrorism capacities, particularly through internal coordination, responsive programming, improved reporting, and strategic communication.